Two new difficulty modes are coming to Vampyr this summer. The two new modes are going to be Story Mode (aka easier-than-easy-mode), and Hard Mode, which truly doesn’t need much of a further explanation. 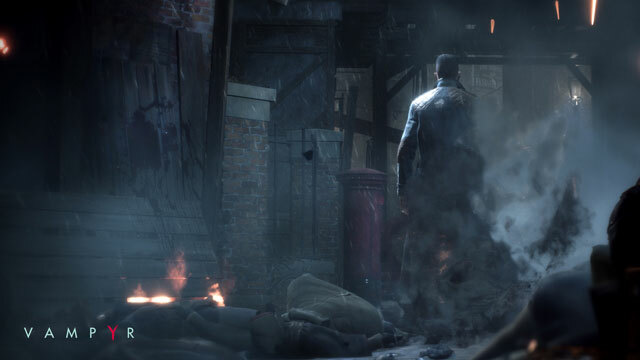 Dontond Entertainment, the developers behind the vampire-themed RPG Vampyr, have announced that they’ll be adding new difficulty modes to the game. The first one is going to be Story Mode, which is basically going to be the easiest mode, as far as combat goes. The other mode is Hard Mode, which is pretty self-explanatory. Enemies are much harder to kill, and they give you way less experience. The new game modes are coming to Vampyr in a content update later this summer. The devs haven’t set an exact launch date as of writing this article. The Hard Mode sounds particularly engaging, seeing how it ties in with the game’s core mechanics in an interesting way. Less experience means more of a temptation to feed on the innocent; this might force players into moral choices they weren’t ready for. If you’re not familiar how XP works in Vampyr, I’ll explain briefly; you can read more about it in our Vampyr How to Gain XP and Level Up guide. Basically, you can earn it by killing enemies or by preying on the innocent. What you choose to do can affect certain aspects of the game. In normal circumstances, the XP you get without embracing (aka feeding on) civilians is enough to get you through the game. Not so with Hard Mode, by the sound of it. As for Story Mode, well, it’s Easy Mode for those that just want to hear the story. It’ll make staying the good doctor much easier, if that’s how you want to play it. If you want to be a world-ending monster, you can do that more easily, too. Not much more one can say about that.